It is nearly the middle of September and I’m already shopping for knit beanies to wear over my hair in the snow. Welcome to Colorado! Home of the mild summers and early winters. This would be fine by me if I wasn’t having so much fun with my wash n’ go style. 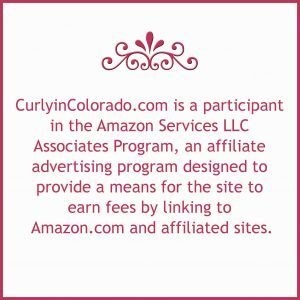 Yes, recently I’ve been rocking my curls and enjoying my curly afro. However, last night it was forecast to drop down to good ole thirty two degrees or freezing as I like to call it. To prepare for the cold, my family and I quickly harvested our large, unripe tomatoes from our community garden plot. We hated to do it but we just didn’t want to risk losing them. While standing in the drizzling rain and feeling my fingers go numb, I decided it was time to start wearing braid outs. The style works for me during the colder weather because I don’t have to revive the look by rewetting my hair in the morning. Also, my hair will usually lay flat enough for me to wear a warm knit beanie hat over it. 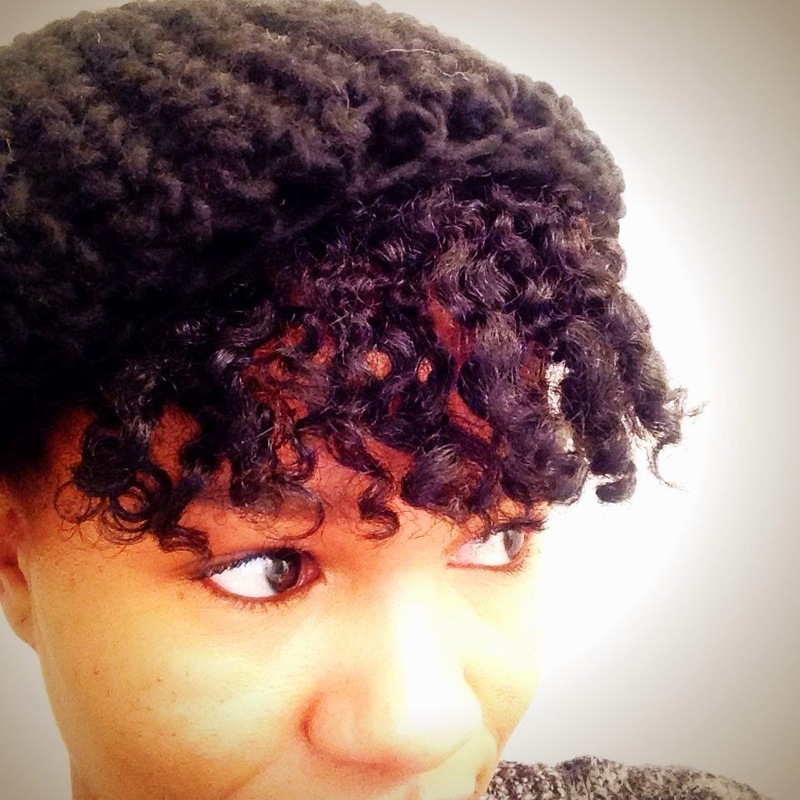 Braid outs for the win! I like to knit and crochet so I may possibly construct a new hat for myself. 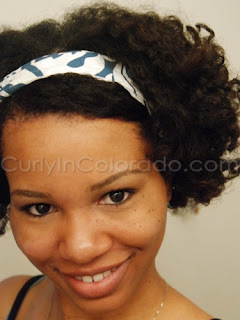 I might even look into making a warm head band for those days when I want to wear a puff or high bun. Another option would be to head over to Natural Born Hats and order a couple of their satin lined beanies. Either way, I’m not about that dripping wet hair life when it comes to the colder temps. Sure, we still may have a couple of sunny days coming up but as for me and my curls, it’s braid out season. I am slowly gaining on my third year with natural hair and am finding new ways to style my curls. I have always known that I simply cannot keep my hands out of my hair so sometimes I have to put it away. More recently though, I have been trying to keep my hair protected for the majority of the time so that by summer I will get to see lots more growth retention (a.k.a. lots-of-hair). 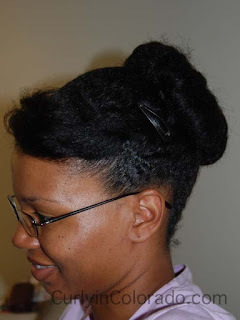 Before now I kept thinking that the only protective styles in my arsenal were Mini Individual Braids, the Donut Bun and French Braids. Thankfully I have discovered even more ways to tuck my hair away. I’ll be sharing a few styles in the coming weeks so stay tuned! 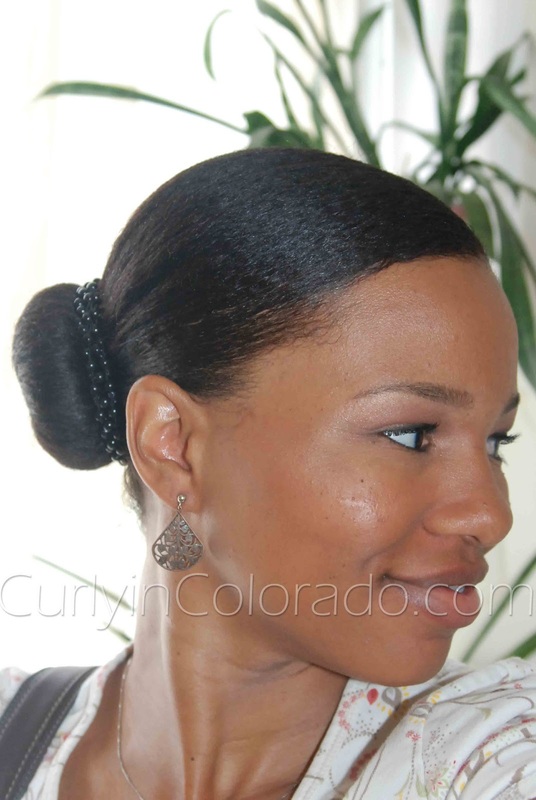 First up is what I call the Puff Bun but I have seen others call it the “Cinna-Bun”. 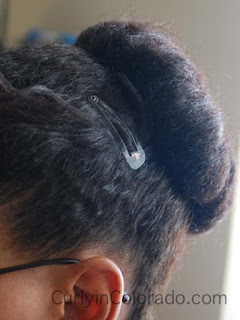 Basically, I pull my wet hair up into a puff by using an “Ouchless” headband that I wrap around twice. I use Eco Styler hair gel to help smooth the sides and nape area. 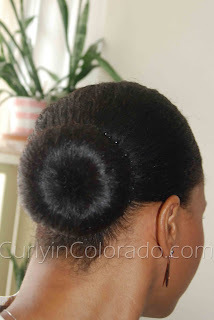 I push the headband back towards the crown until it stops and then spread the puff out to expose the center. After that I simply push the hair down towards the base. 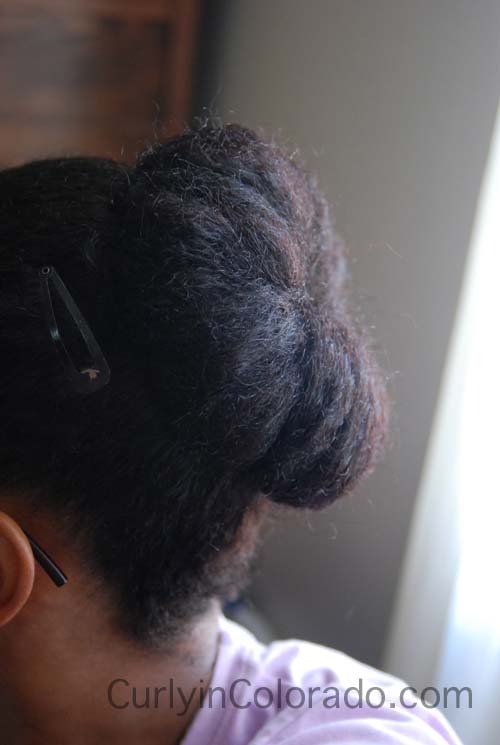 I then pin sections of the puff with bobby pins and secure the ends of each section near the band underneath. In the pictures posted I also left out a little hair in front for fluffy bangs. I used a small clip to secure the ends of the bangs to make a side swoop. 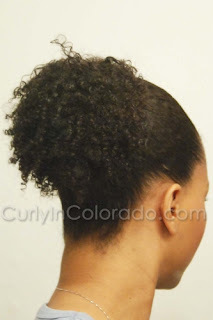 This can also be done with dry hair that has been stretched from a braid-out or twist-out. 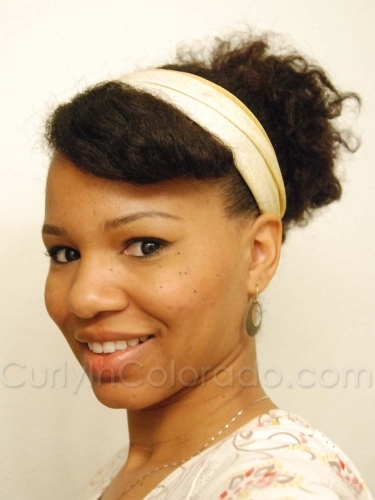 I like this style because I don’t have to use any hair gel on the length of my hair for a curly effect because I’ll be tucking the hair under anyway. 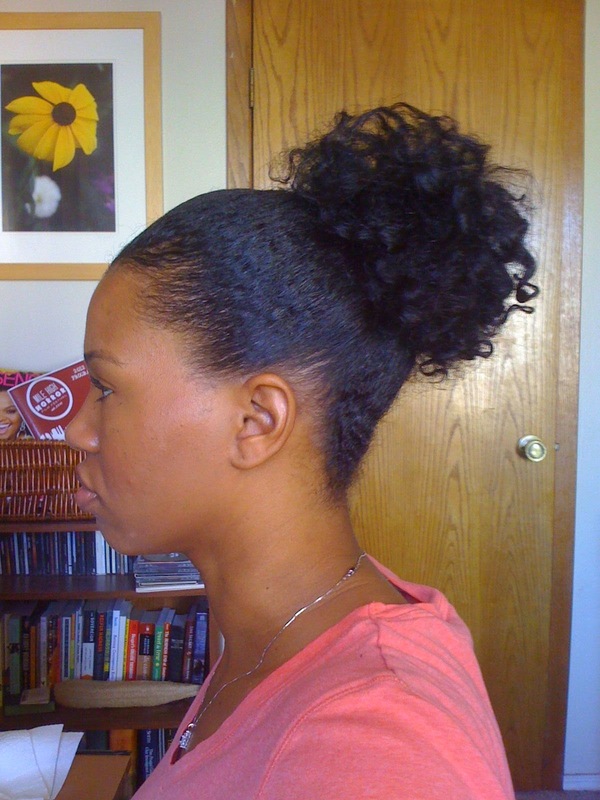 This also keeps my ends protected which will help me reach my hair length goals. More Protective Styles to Come! 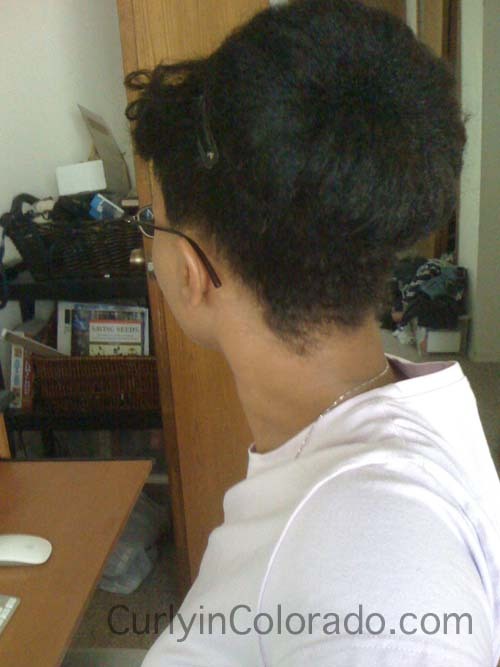 I’m really trying to be patient for APL which has been my hair length goal for a while now. I’m still an inch away from it which is really frustrating. I’m guessing it will take another two months before I reach it. I’ve decided that in order get to where I want to be, I need to really baby my hair and keep it protected. It actually feels good to keep my hair off of my neck on hot days. I try to wear my hair up in a bun or french braids whenever I can. Sometimes I also like to throw it up into the occasional puff. I’ve even been thinking about wearing some type of half wig or lace front to keep my hair completely under wraps. That’s a new concept for me though so it may be a minute before I jump on that bandwagon. I wore it down for the 4th of July weekend but now it’s back up again. 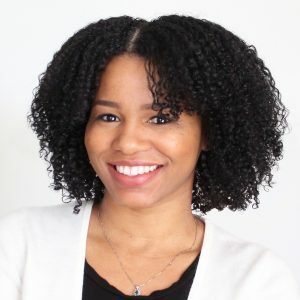 I was recently watching a YouTube video by one of my favorite online naturals, ItsMeMonchhichi, and found out that the Dollar store sometimes carries Goody Hair bling. Of course, as with everything else, I had to check the Dollar Tree in my ‘hood because Colorado can sometimes get passed up on products. I was pleasantly surprised to find headbands, ponytail holders and mini clips manufactured by Goody. I love to look at these in stores like Walmart and Target but can never bring myself to pay $5 or more for headbands. When I saw some at the dollar store I quickly grabbed them up. I also grabbed a pack of four mini clips but one of them broke on me. I still have three left so I’m not too worried; they were $1! Now I know where to go when I need something to spiff up my puff or wash n’ go styles but still want to keep a little money in my pockets.